4/8/2019: This clinical trial is currently recruiting males and females ages 10-40 who have Fragile X syndrome. The trial is taking place in Sherbrooke, Canada. Please call Artuela Çaku, MD, at (819) 346-1110 ext 71035 or email her at Artuela.s.caku@usherbrooke.ca. FRAXA Research Foundation has awarded $50,000 to fund a clinical trial of metformin for children and adults with Fragile X syndrome. Principal Investigator Dr. Artuela Çaku and Co-Investigator Dr. Francois Corbin are conducting this open-label trial at the University of Sherbrooke in Canada. Metformin is the most commonly prescribed drug for type 2 diabetes, to control high blood sugar. 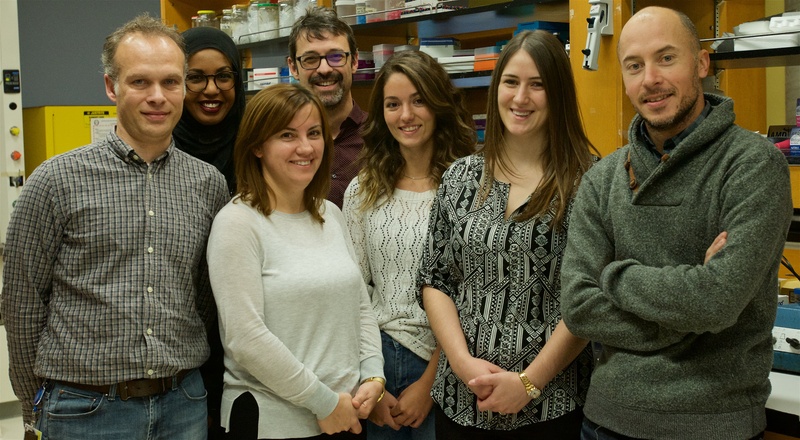 With FRAXA funding, several investigators including Nahum Sonenberg, Sean McBride and Tom Jongens have shown that metformin can also correct many signs of Fragile X in mouse and fly models. In these animal models, metformin normalizes several aspects of neuron-to-neuron communication which are impaired in Fragile X, including ERK signaling, EIF4E phosphorylation, and expression of MMP9. While a growing number of families are trying metformin and reporting mixed results, metformin has not yet been systematically studied in patients with Fragile X syndrome. This open-label trial is designed to better understand the safety and efficacy of this medicine on behavior and cognition, and to find the best dosages for children and adults. What's Involved in this Study? 20 children and adults with Fragile X syndrome will take metformin 250mg twice a day for the first week, followed by metformin 500mg twice a day for the next 8 weeks. The study will measure changes in the total score on the Aberrant Behavior Checklist-Community (ABC-C) after 9 weeks of metformin treatment. The ABC-C is a 58-item behavior scale which is filled out by a caregiver. In addition, Transcranial Magnetic Stimulation (TMS) will be used to look for changes in cortical excitability and Electroencephalography (EEG) will assess levels of synaptic plasticity. Participants in this study must be Canadian residents and be able to travel to the University of Sherbrooke in Quebec, Canada, for several visits. If you are interested in metformin but this trial is not convenient, there are two alternatives. FRAXA is funding a new trial of metformin in New Jersey, and Dr. Randi Hagerman is currently recruiting for a metformin trial at the University of California at Davis MIND Institute.